Esther Mollema is a much sought-after speaker and program leader in the area of change management, (female) leadership, high performance organizations, quality of management and employees and strategic management development. 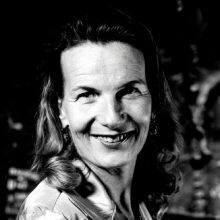 After completing her studies at Nyenrode and Thunderbird in Phoenix, Arizona, Esther Mollema (born 1965) worked as the director of various training companies in the Netherlands, Japan, Germany and the US. Since the end of 1999 Esther has been the Founder and Director of Direction Europe, prominent in the area of leadership, diversity & inclusion and team development. Esther Mollema has been General Director of the HPO Center (Center for Organizational Performance) since 2007. 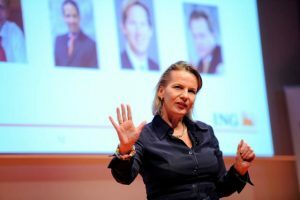 Esther is the author of the Dutch management book classic ’50% more talent’. For more details, information and booking Esther Mollema for a lecturer or presentation, contact Chiel Vink at schreurs@hpocenter.com or call us 0031 – (0)35 – 603 70 07.